Excel sheets or paper are simple, yet complicated when it comes to planning. Exclude all the complicated elements and make your life easier by using Smartplan, which is one of the most simple and accommodating systems on the market. We have made it easy for you to get started, since Smartplan has a template feature. 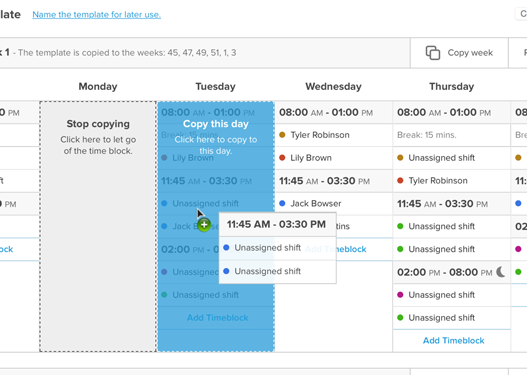 This feature helps you plan your first rota or functions as a time-saving tool later on when creating the upcoming rotas. A few clicks and your template knows what shifts your first day contains. 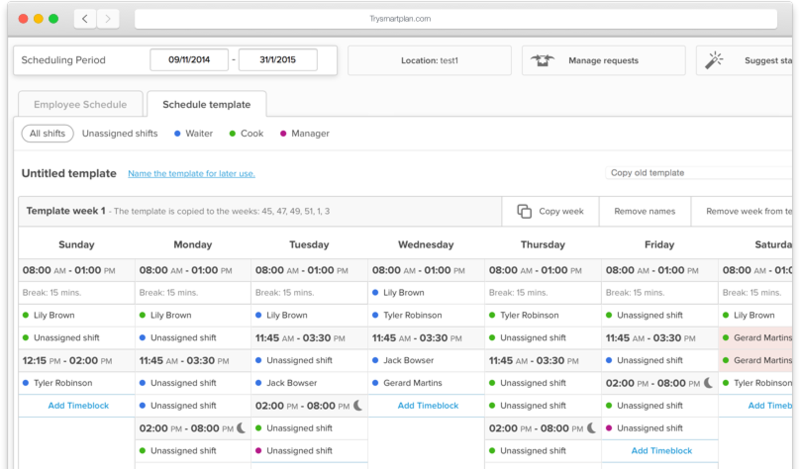 Without you doing anything, Smartplan automatically copies your template to the rota you are planning. 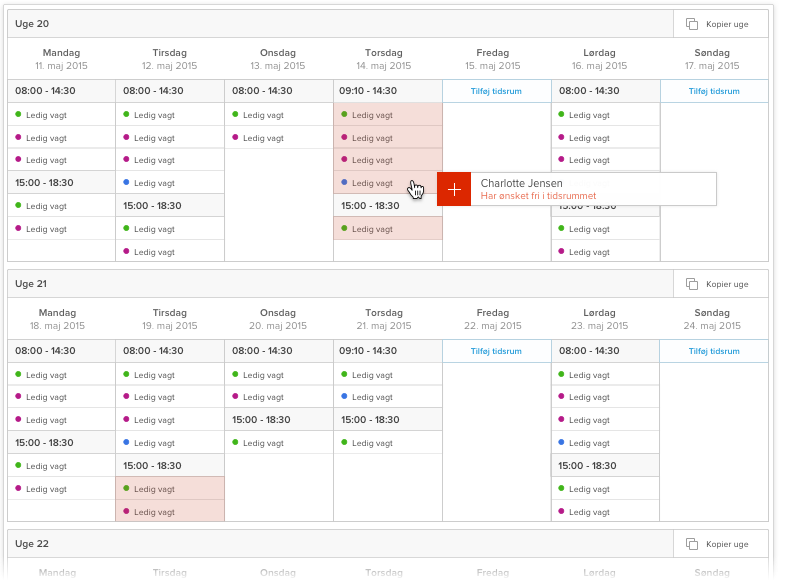 Change something in your template and Smartplan will update the rest of your rota. Customize the template for exactly your needs. With an Excel sheet or paper, it can be difficult to get an overview of the planned and actual shift hours used - but it doesn’t have to be so. 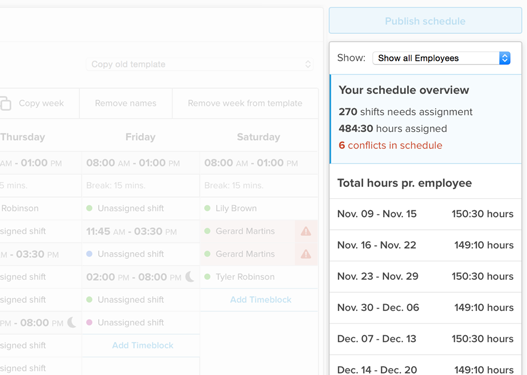 Anytime you assign a shift in your template, Smartplan copies it to your rota and calculates how many hours you used. The sidebar in the planning tool ensures that you constantly know how many hours you planned and how many need planning. It even notifies you if there are any conflicting shifts so that every shift is always correctly covered. Planning shifts often involves a massive amount of repetition. Save time by using Smartplan’s copy icon to copy a shift, a day or a whole week with just a few clicks. Smartplan relieves the burden of planning and allows you to spend more time running your business. Asking your employees when they are unable to work not only creates good workplace relations, it also ensures a more harmonic staff rota with a smaller risk of changes and problems. The coordination can, however, be time-consuming and a subject to mistakes - unless you let Smartplan do the work. 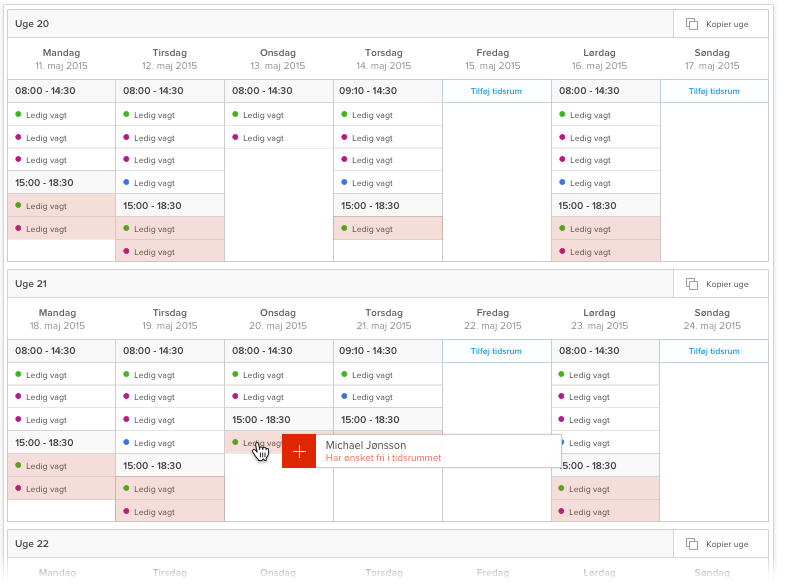 Just customize your rota template and your planning needs, and Smartplan collects the inputs from your employees.